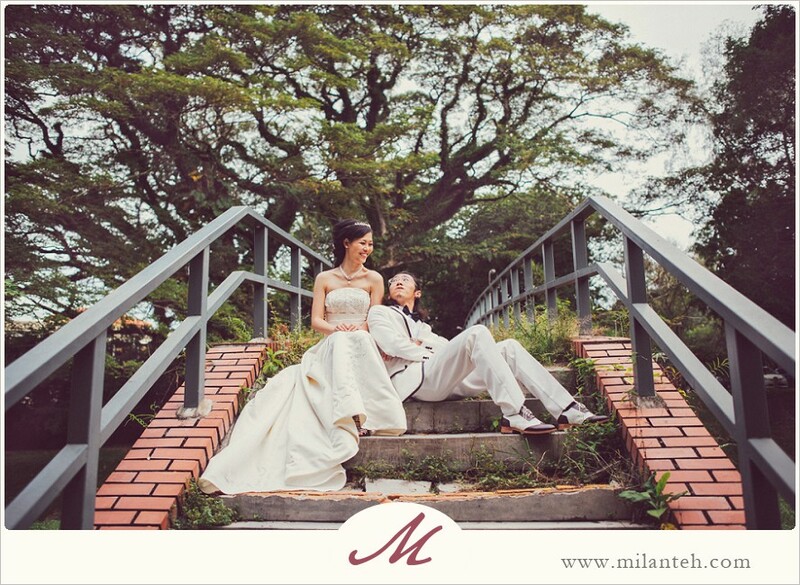 If you are taking more than 2 hours of couple portrait or prewedding, it's probably a physically draining process. Based on past couples' experiences, I've got an interesting observation. 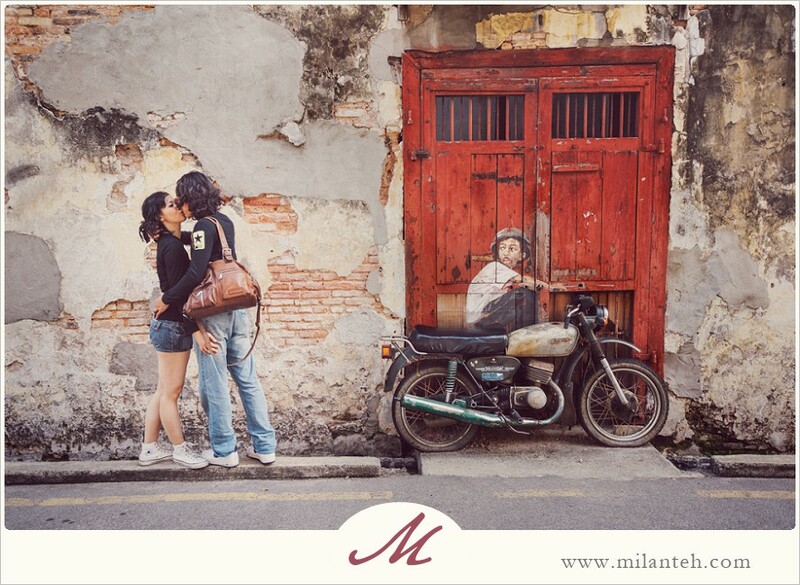 This couple, Sugar & Armelle came all the way from China to Penang and Langkawi for honeymoon. It was a happy accident that Sugar found and picked me through Google. He got our service in one of the day during his trip to Penang. Here's the thing, since everyone of your friend(assuming Asians) are probably taking prewedding either, you need not follow-suit the norm. ie. wearing two to three formals /going bridal house/do it at the area you are working etc. 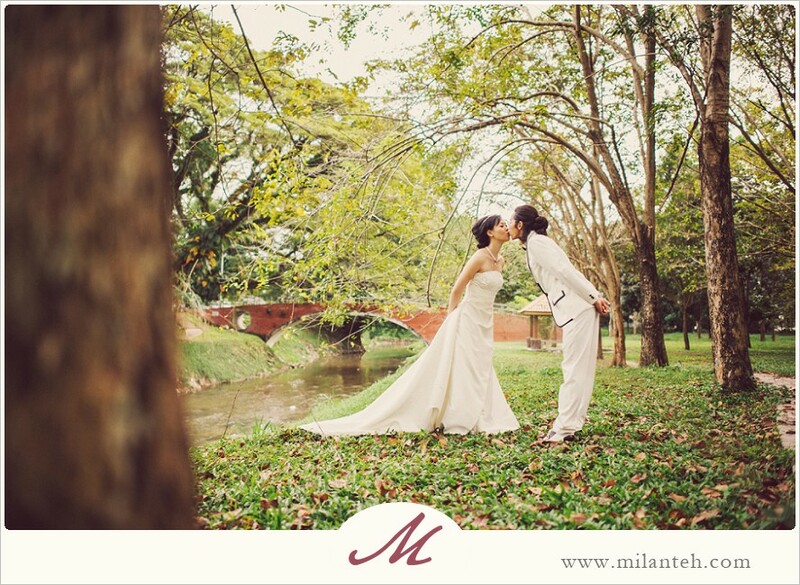 How about making a trip to somewhere with pretty scenery + desired photographer and maybe your own designer gown? Make it like a mini vacation too perhaps. A new place helps one to get excited, relax and you'd be able to be get more intimate with your loved one without fear of being bumped by colleagues at the road side(if you are a shy person)! Penang could be a good place, it has scenery, beach, plenty of boutique hotels, and awesome cheap-and-good hawker food. Or Langkawi, your home town, the list goes on and on. What I wanted to highlight is that, make it real personal. 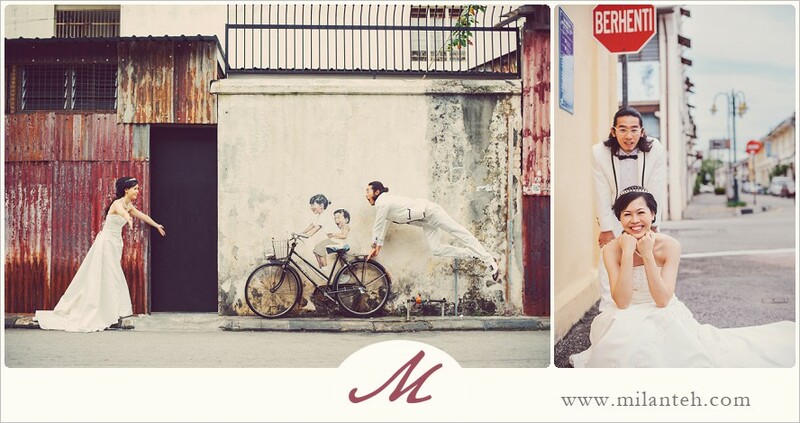 Actually, casual clothing could be huge part of your prewedding pictures too. As the attire would give you more freedom to move around, the pictures will turn out more lively either. 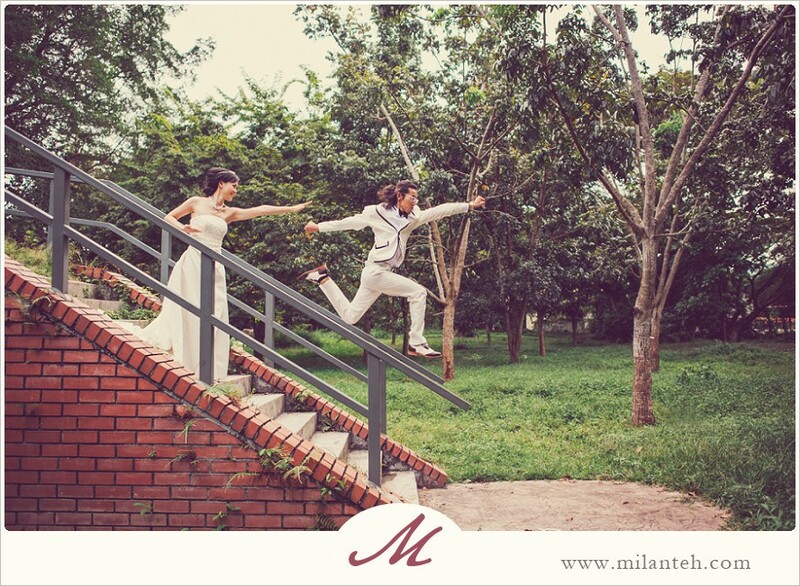 Formals are good, maybe not till the extent of changing 4, or some that I knew, 9 in one prewedding series. Formals are often suited to create photographs that are more 'proper' or classic due to the nature of the mood they set appearing in the photograph. This involves quiet down moments, posed or loving ones. I knew a lot of couples that lovey dovey act or posed ones are not their thing. 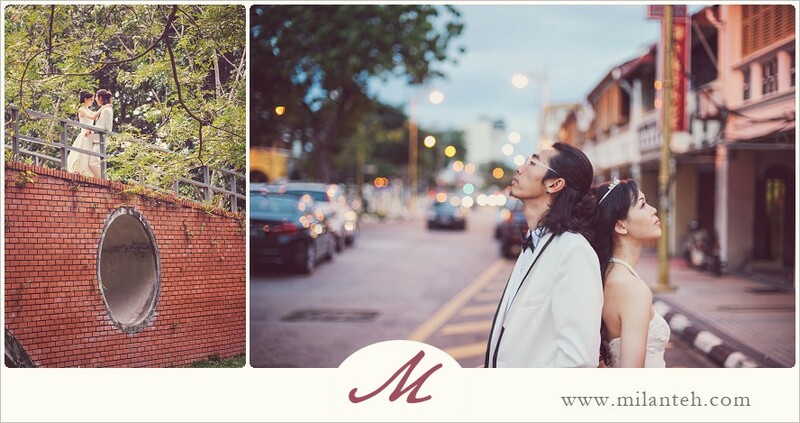 What do you want to convey in your prewedding pictures in between this two: 1) You changed a lot of attire? 2) Who you and your fiance genuinely are and how both of you normally interacts? &.b.t.w. 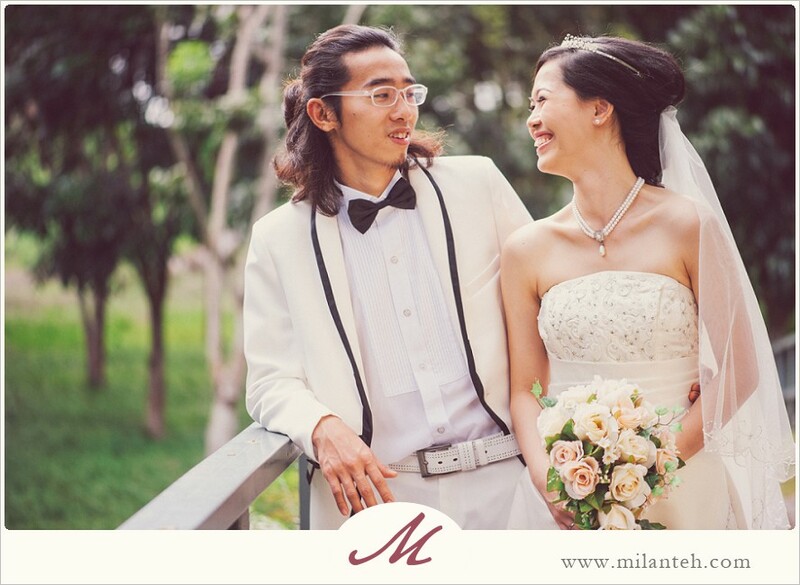 - Sugar & Armelle got their rental formals from Solcover. 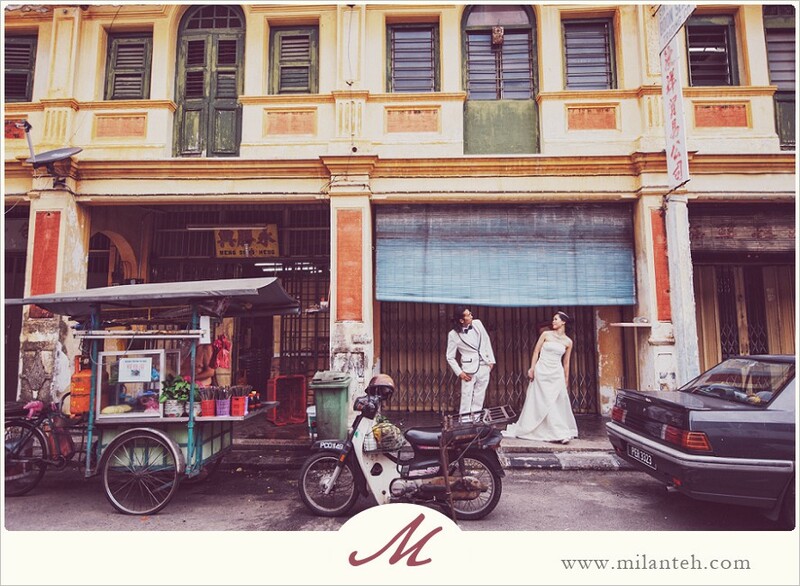 The shoot was done wholly in Penang. &.&.b.t.w. 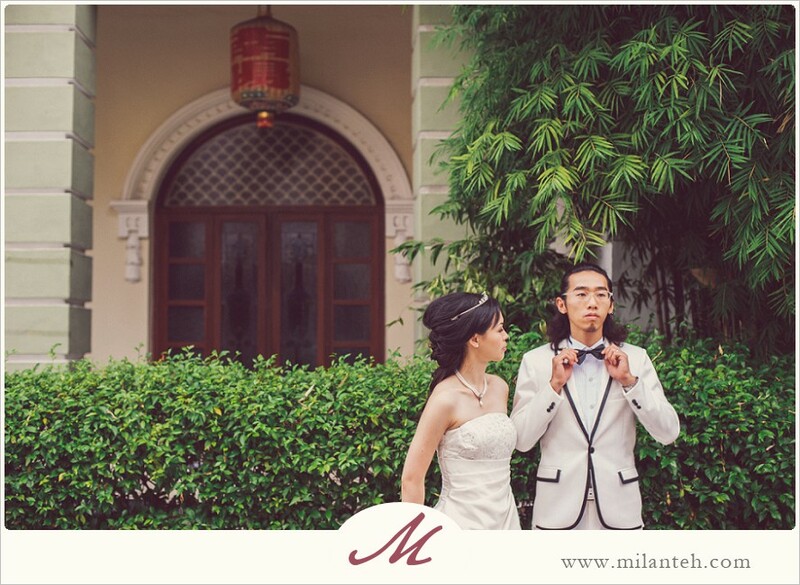 - Are you interested to read more sharing from me which would benefit your wedding planning? Check out the Sharing section, you tell me and I'll write about it.